Body by Bex – How often should you work out? I often get asked how often should you work out?? And how often do I work out?? I was training 7-8 times a week before I recently had my second baby boy! He is now 13 weeks old and I’m back training 4 times a week. I would recommend 3-4 times a week for most, with one rest day and maybe a walk on other days to maintain your weight. (To lose weight you will need to work out 5 days per week). If you can get a day training outside in the fresh air, near the ocean or open space I would highly recommend it! FITNESS FACT: Does exercise stress you out just thinking about it? Think about this…. Once you actually start working out, you will experience less stress in every part of your life! FOOD FACT: Tomatoes are an excellent source of vitamin C. A tomato grown in a hothouse has half the vitamin C content as a vine-ripened tomato! 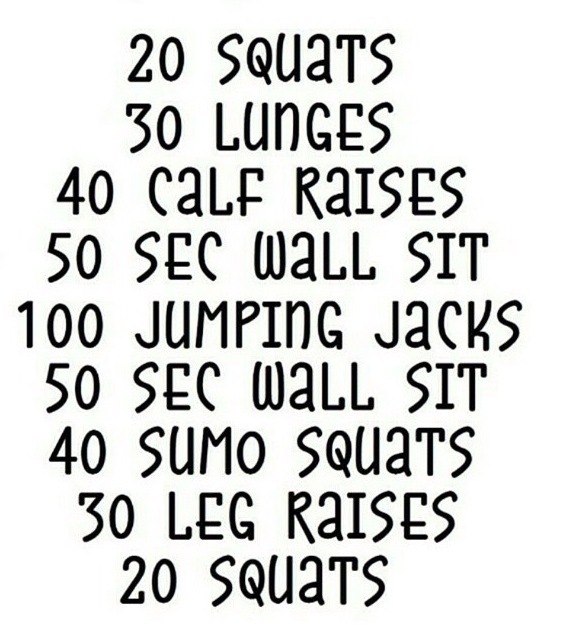 Try this work out at home. If it’s your first time exercising or you are used to low impact workouts then half the reps shown! If you are a fitness freak push yourself to your maximum and when you think you can’t do anymore do 5 more! TRAINING TIP: With young children in the house some mornings it seems impossible to get ready and out the house in time for bootcamp! My advice….. Get your gym clothes out the night before and when you wake up even before attending that crying baby pop your clothes on! Seems so simple but it can be a complete game changer to whether you get out the house in time or not!